Our marketing efforts inevitably should enable us to attract more clients. The daily routine of an online entrepreneur can vary extensively from one day to the next. It can be busy, exciting, and challenging all at the same time. We want to minimize the challenges that may occur when a simple task takes longer than expected, for example, the creation of a newsletter. Understanding some of recent online trends happening around newsletters is important for you to proceed. Nowadays, many newsletters are being opened on smartphone and iOS devices. Mobiles are dramatically changing the way people access their email. Use a software like 3D Issue Hubs to create your newsletter and all the uncertainty and challenge gets removed from your day. A Hub newsletter is responsive; this means it will re-size automatically to suit the screen, device or platform it is opened on. This maximizes the potential your newsletter can have to impress your audience. You can do less work and actually have a bigger impact on your subscribers. Newsletters have become a great way of communicating the latest company news, product information and industry trends to customers. 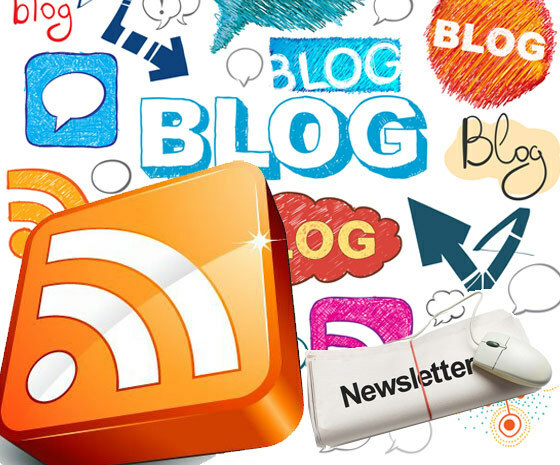 Many companies use their blog to convey this information, and then at the end of the week or month create a newsletter featuring the key articles of the blog. If this is a process that your company follows, then 3D Issue could make this newsletter creation task much easier for you! 3D Issue Hubs, enables companies to generate a digital newsletter from the text and images contained in a given RSS feed or blog. So how can you use this to create newsletters for marketing purposes? Click here to see an example of a newsletter Hub. If you are interested in created a newsletter for your company with 3D Issue Hubs you can avail of the free trial. For any extra information you may require please do not hesitate to email info@3dissue.com.